News / Updates | White Graphics Inc. If you’ve created an awesome food or beverage product that you’re looking to pitch to buyers, you need packaging. If you’re new to entrepreneurship, you may assume that packaging your product yourself is the right choice. After all, you might save money, and maybe you have a great idea for a clever way to package your product. Color quality and consistency are key to effective brand management. 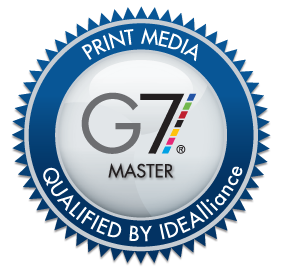 White Graphics, Inc. is proud to be an Idealliance G7® qualified master printer that also offers GMG color management. Ideallance sets the standard and certifies industry experts including leading providers of print, creative and prepress services in the G7® methodology. Please review our Guidelines to ensure the best quality production.